Today Is The Day | Today Is The Day is not just a place to be inspired, but also to inspire one another. Share with us what today is for you. Today Is The Day welcomes Jamar Cobb-Dennard as a guest contributor. Check out what he has to say. Want Success? Look at the Man in the Mirror. Today I ran in the 9th annual Drumstick Dash, a 4.5 mile Thanksgiving Day running event. This is always a fun event that is also a fund raiser for the Wheeler Mission here in Indianapolis. This, like many running events, is an avenue for achieving personal athletic goals and camaraderie. It also tends to be time for folks to take some liberties with fashion. Anything from expensive running attire, basic t-shirts and shorts to elaborate thematic costumes. It was amusing to see runners dressed as pilgrims or with turkey shaped hats. “Treadmills are for people who aren’t going anywhere.” As a runner who definitely prefers running outside, it made me laugh. But, it also got me thinking. It’s easy to keep ourselves busy and yet accomplish little. Lord knows, I have. But, I for one, want to run in a realm of possibilities. Where goals can be set and reached and new ones set again. Not just busy, but purposeful. Focused. And maybe, where a funny hat along the way. Today Is The Day is now available on iTunes! Downloading “Today Is The Day” just got easier. Click on the link below and start enjoying music that motivates! Today is the Day! If your like me, you’ve faced what Seth Godin calls the lizard brain. That survival mechanism that often stands in the way of us reaching our potential. It’s a freeing thing to see your fear, face it down and accomplish something you previously only hoped for. But a funny thing happens. It rears it head again and again. It’s subtle. Funny how the deeper we go, the more we see…like the layers of an onion. The more we learn, the more we realize how little we know. it’s not a problem if we see it for what it is. You’ve already overcome so much. You’ve been here before. And your stronger than you were before. 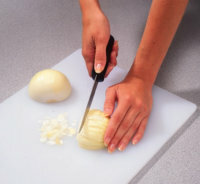 So, let peel some onions! Seth Godin calls us out! Thank you Seth. It’s not the day you have to manage, but the moment. It’s not the dragon you have to slay, but the fear. And it’s not the path you have to know, but the destination. Do you want to improve your performance at work, play and your personal life? Have greater focus? Reach your potential? Part of an effective strategy is as simple as listening to “Today Is The Day.” This is a collection of positive affirmations spoken over a bed of music that is designed to give you energy, focus and inspiration. 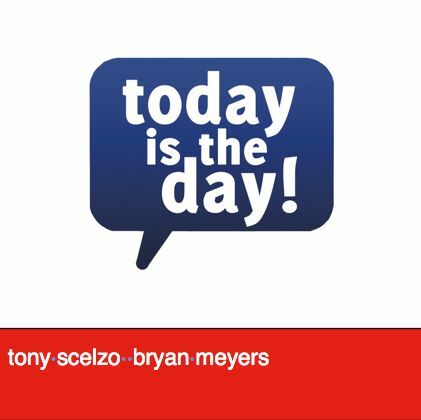 “Today Is The Day”, is perfect for those who are committed to achieving their goals. Click this link here to listen. Digital Download available for only $8!